Run Time: 48 Minutes For ARMORERS and NEW SHOOTERS alike…With just about every major firearms manufacturer producing a 1911 pistol, you may find subtle differences between them. 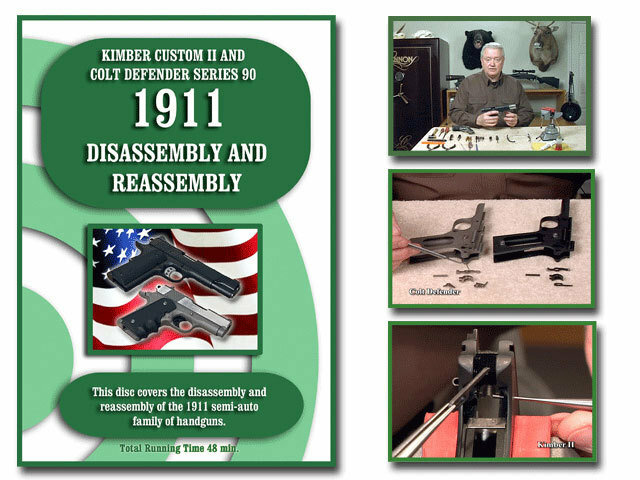 In this DVD, a Kimber Custom II and a Colt Defender were used as examples to illustrate the bushing and bushing-less styles of 1911s. Once you view this DVD and see the comparison of the two styles of 1911s, the disassembly, cleaning, lubrication and reassembly procedures can be applied to most all of the 1911 style of pistols. On-Target’s DVDs are digitally produced and provide clear and concise instructions. We at On-Target take great pride in the up-close videography of each DVD.